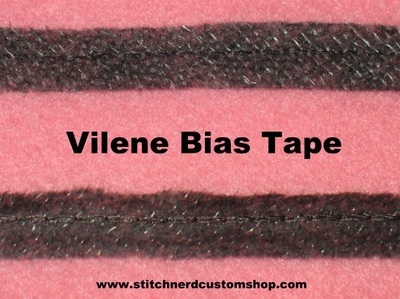 Authentic Vilene Iron-On Bias Tape in Charcoal for darker colored garments. 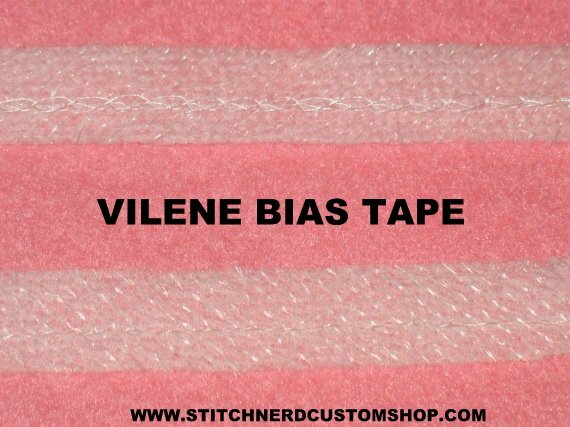 If you sew with Burda, Patrones, or Knip Mode Sewing Patterns you are already aware that they call for the use of Vilene Bias Tape on certain garments. This is the one you need! The band is ironed on in such a way that part of the bias tape remains on the fabric edge and the seam is made just behind the chain stitch. Slowly but firmly press with a dry iron, about 8 seconds per area. Iron Setting: Wool. Can be used on all fabrics. Washable at 40 degrees and Dry-cleanable. 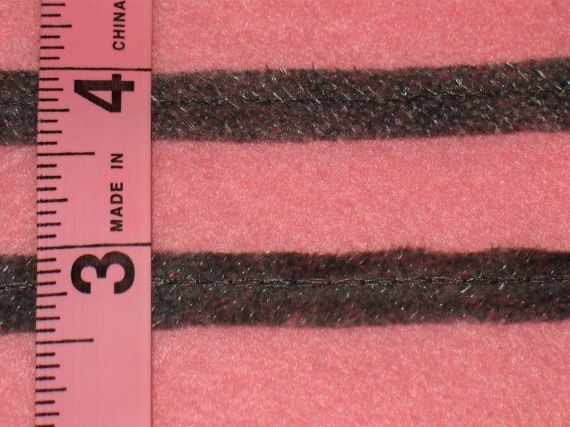 Approximately 1/2 inch wide (12mm) with top stitching off centre. When fusing, position the widest part of tape to fabric edge. 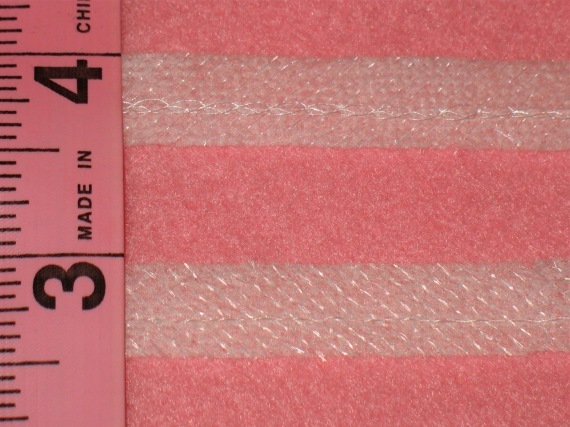 Sew behind the top row of stitching. 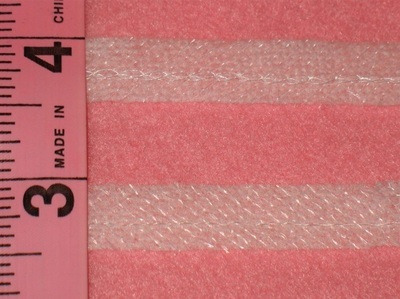 Price is per yard (36"/91.4 cm), if you buy more than one yard I will send you one continuous piece. Colors available are white and charcoal.